Show ‘em how proud you are that your cat prefers YEOWWW! catnip. 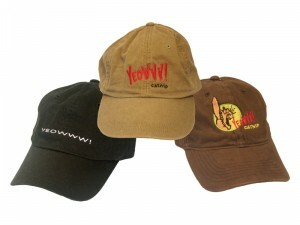 Customize your hat by choosing what logo you want embroidered on it. Re-sizable and washable. Comes in 6 different colors! Click here if shipping address is same as billing address.